If you are searching for custom metal signs, custom outdoor metal signs, custom metal signs near me, custom cut metal signs, custom metal business signs or custom vintage metal signs in Phoenix, Artistic Alloys can help! 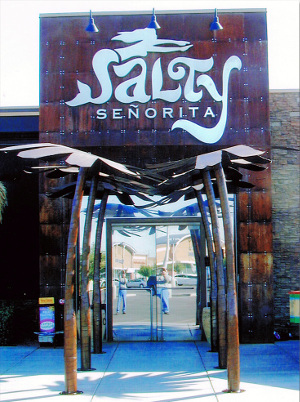 We offer custom metal sign design, fabrication and installation in Scottsdale, Phoenix, Mesa, Chandler, Gilbert, Tempe and more. Our custom metal signs grab attention from potential customers and help your loyal customers find you more easily. If you’re located in a business park or strip mall there is a lot of competition for consumer’s attention. 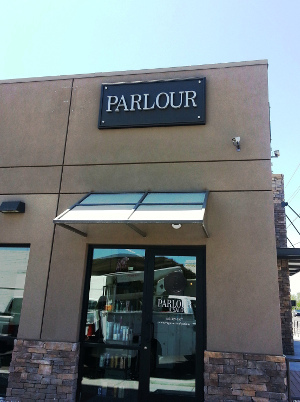 A custom metal sign grabs that attention and gives you a better chance of getting the door to swing with new customers. When visitors push through your door and get a first glance of the inside of your property, you want them to know they are in the right place instantly. With a custom metal sign that has your business logo or name there will be no doubt that they’ve arrive in the right place. Allow us to build your custom metal sign to put your best foot forward. Custom Metal Business Signs are a great way to attract new and existing customers and great signage highlights you in a positive way so you can be located more easily. Wherever your location, you know you have to stand out from competitors. A customer metal business sign give you the edge in attracting new customers to your business. Nothing looks better than a Customer Vintage Metal Sign advertising your business. Popular for its All-American look, our Custom Vintage Metal Signs combine the classic looks of a bygone age with design style that still turns heads today! if you are looking for a sign that captures the imagination and gives your business a timeless image, you need our Customer Vintage Metal Signs. Custom Metal Sign Designs are what we are known for and we can design and manufacture a sign tailored for your company! Using the best in art and manufacturing techniques, we can build you a sign incorporating the name of your business, the logo of your company and any information you want to include to give you a personal and individualized look to make you unique in the marketplace. 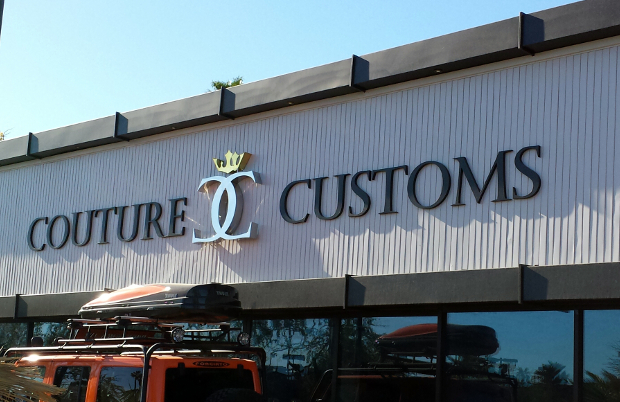 We proudly fabricate all of metal signs right here in the valley. Our shop in Scottsdale is our base for creating the best custom metal signs for the interior and exterior of your business or home. Our welding and metalworking equipment is second to none and so are the quality of our welds. 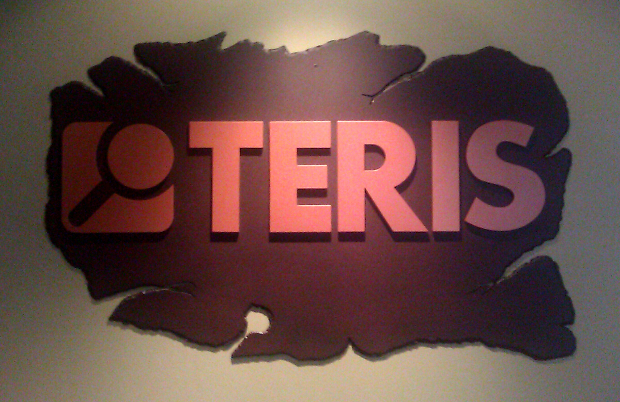 Whatever custom metal sign we fabricate for you will be visually stunning and made to last! We install our custom metal signs we fabricate at homes and businesses all over the Phoenix Valley. We carefully transport the signs to your property and install them the right way. Metal signs aren’t always super light and will need to be anchored correctly to stay up, look great, and be safe. Our team makes sure it is done right and will stay looking great for many years to come. Custom metal signs let your customers know where you’re located for a wide variety of industries. 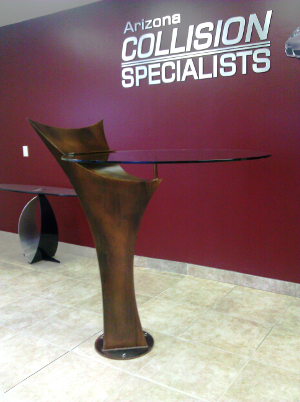 Artistic Alloys & Design is your source for completely custom metal signs in Phoenix. We work with our customers to meet expectations for design, and then exceed them with the highest quality fabrication, installation, and customers service experience anywhere. Allow us to install a custom metal sign in or on your property to act as a beacon for customers to find you and see that you’re serious about your business and location! Call to schedule your custom metal sign consultation to day at 480-941-2611.